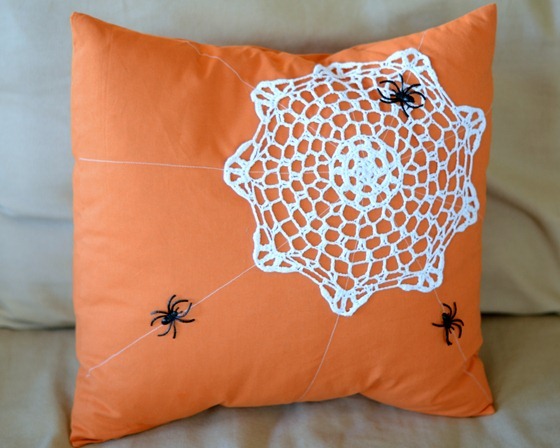 Char took her love of Halloween and her current obsession with Halloween and combined them for this super fun doily spider web pillow. And if you love Halloween and doilies too, you can check out a tutorial on how to make your own over at Crap I've Made. Love!! And you know me and my distaste for orange, but LOVE!